Researchers have come up with a report about Zika virus that can damage brain could go undetected in pregnancy and may later lead to learning disorders, psychiatric illnesses and dementia in babies. The findings, appearing in the journal Nature Medicine, showed that a foetus that gets infected with the Zika virus may develop severe brain damage even when the baby's head size is normal, the signature symptom is an unusually small head. The damage caused by the Zika virus could go undetected in pregnancy and may later lead to learning disorders, psychiatric illnesses and dementia in babies, researchers including one of Indian-origin has found. The findings, appearing in the journal Nature Medicine, showed that a foetus that gets infected with the Zika virus may develop severe brain damage even when the baby’s head size is normal — the signature symptom is an unusually small head. Brain damage was found in regions that generate new brain cells, and those that play a key role in memory and learning and contribute to brain health. These damages, which can be difficult to detect, may also occur in children infected during early childhood and adolescence and may significantly affect brain health and lead to learning disorders, psychiatric illnesses and dementia, the researchers said. “Subtle damage caused by this virus during foetal development or childhood may not be apparent for years, but may cause neurocognitive delays in learning and increase the risk of developing neurological disorders such as schizophrenia and early dementia,” said Lakshmi Rajagopal, Associate Professor at the University of Washington — Seattle. “These findings further emphasise the urgency for an effective vaccine to prevent Zika virus infections,” Rajagopal added, in the study conducted on monkeys. 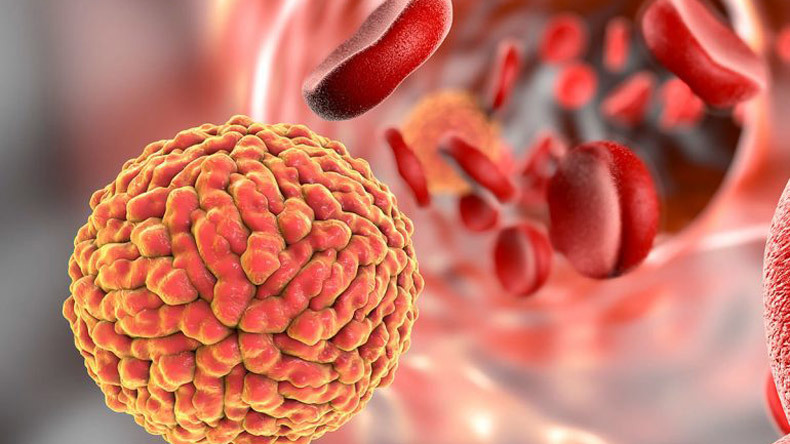 A Zika virus outbreak in Brazil in 2015 had led to widespread concern after rising incidents of microcephaly — a condition with markedly small heads — were noticed in children born to mothers infected with the virus. Many of these children are diagnosed during pregnancy by ultrasound or at birth because they have markedly small heads. However, scientists have recognised that even children with a normal head size at birth may be diagnosed with serious eye injuries or late-onset microcephaly when the head fails to grow normally after birth. In the new study, researchers looked for subtle changes in the brains of five foetal macaques whose mothers had been infected with the Zika virus in pregnancy. In all but one case, the researchers found no obvious foetal abnormalities with weekly ultrasounds. The brains of the infected fetuses, however, did grow more slowly than normal, but they remained large enough so that their smaller size did not meet the criteria for Zika virus. “Current criteria using head size to diagnose Zika-related brain injury fail to capture more subtle brain damage that can lead to significant learning problems and mental health disorders later in life,” said Kristina Adams Waldorf, Professor at the varsity. “All children exposed to Zika virus in utero should be followed long-term for problems with learning and development, regardless of head size at birth. “And we should also be worried about children and young adults becoming infected with the Zika virus because they have the same vulnerable stem cells in their brains as the foetus,” Waldorf said.